Impermanence is a not for profit company undertaking innovative work around death. Impermanence was founded in 2012 by Jon Underwood. We aim to have a huge positive impact on culture around death. We're motivated by a belief that working with death is very useful & important. Jon Underwood is a 40-something cis white male married with 2 kids living in Hackney, East London. Jon is a student at Jamyang Buddhist Centre. Death Cafe is one of the world's largest community engagement projects around death. At a Death Cafe people talk about death over tea and cake. 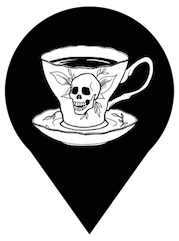 Since our first Death Cafe in 2011 there have been thousands of Death Cafes in over 30 countries. Funeral Advisor is a 'trip-advisor' for the funeral industry. The site aims to help people get the funeral they want and increase transparency and accountability in the funeral sector. Funeral Advisor is provided by Impermanence in partnership with the Natural Death Centre. Find Me Help is the UK's most comprehensive database of services and best used guide for people who are dying and those close to them. Dying Matters has commissioned Impermanence to develop and manage this content. - Presented on our work and death more broadly many times. Presentations - on all aspects of death and our work. Please get in touch to discuss your requirements and our rates. Currently we are not able to work on a unpaid basis. Please do get in touch, we'd love to hear from you.